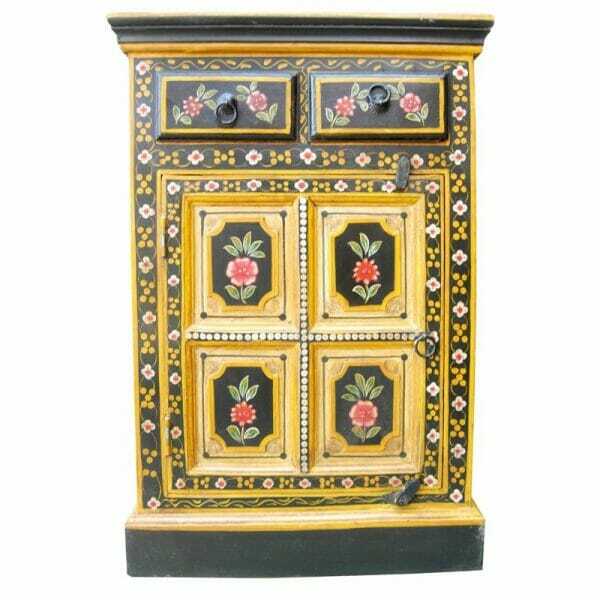 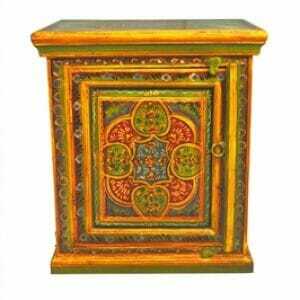 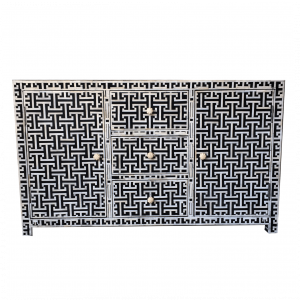 This striking Indian black painted bedside cupboard, features a unique ‘Romany’ design. 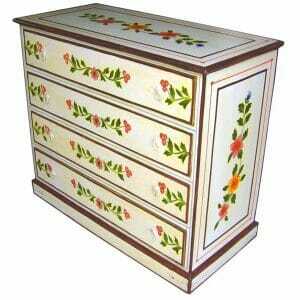 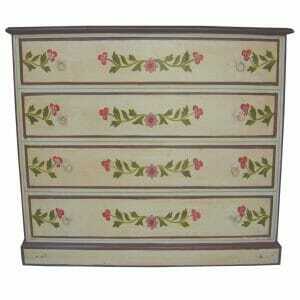 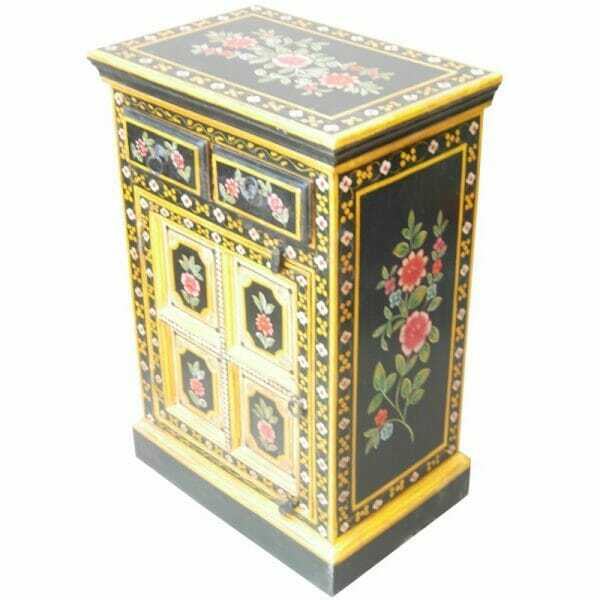 The black body of the bedside cupboard is adorned with delicate flower and petal detailing to the borders. 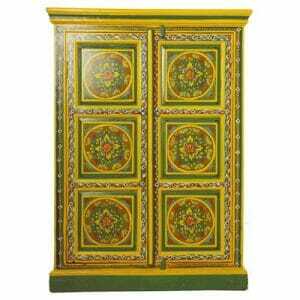 The central door of the cupboard is dived into four panels, each panel is decorated with intricate hand painted flower patterns. 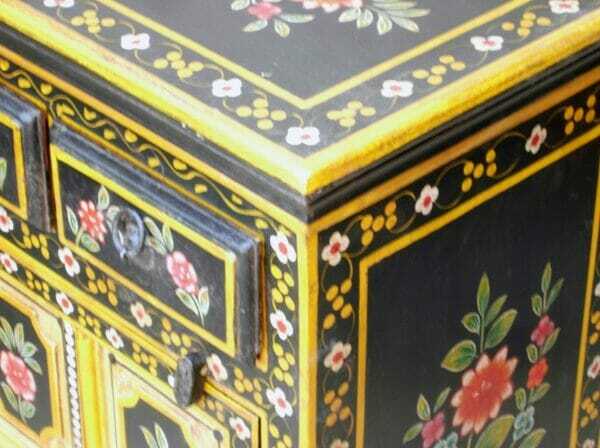 The edges of the black bedside are finished with a flourishing bouquet of soft Indian flowers. 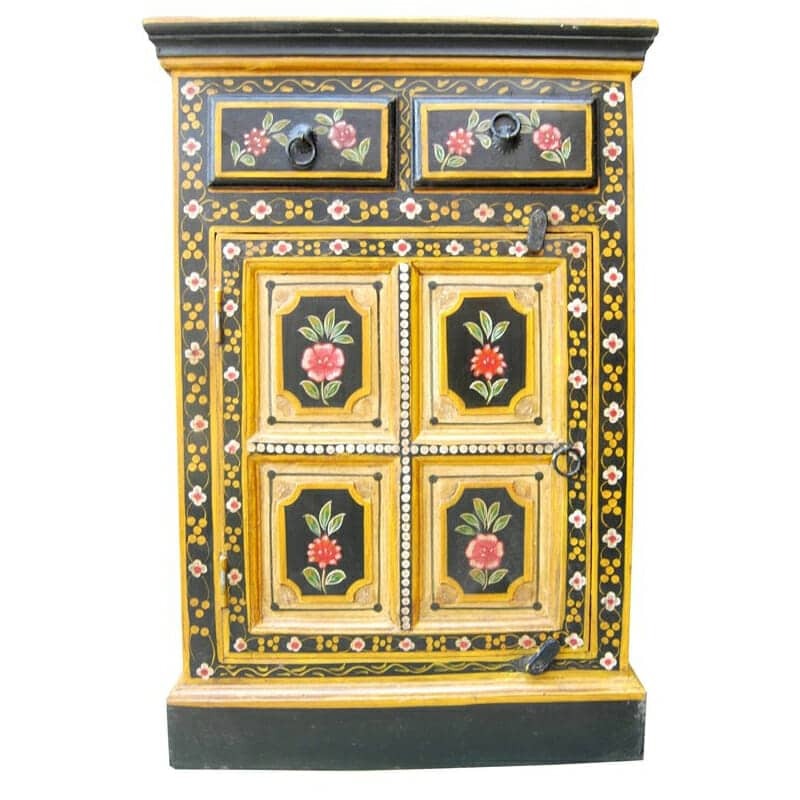 The black and yellow themes of the floral cupboard are evocative of traditional Romany designs, however the style is rooted in the traditional furniture design of Rajasthan. 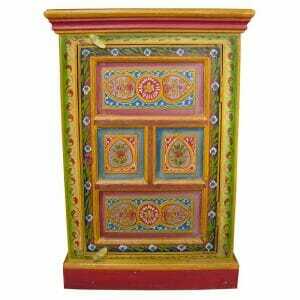 This handmade painted Indian cupboard is manufactured in the craft boutiques of Udaipur or Jodhpur in Rajasthan, northern India. Each piece is hand cut from locally sourced Mango or Sheesham wood, using techniques that have remained the same for centuries. 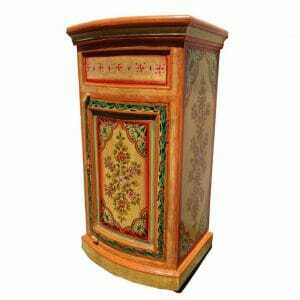 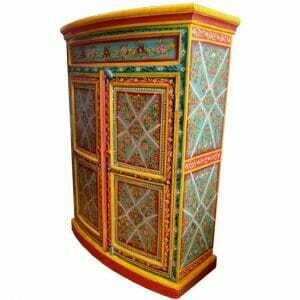 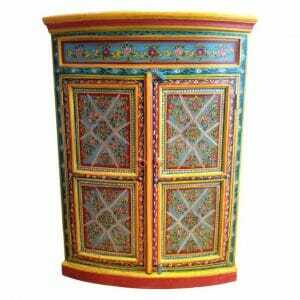 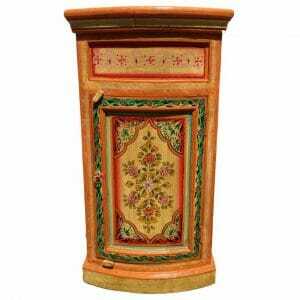 These pieces are very sturdy and feature exceptional build quality, this ensures you hand painted ethnic cupboard will last for generations. 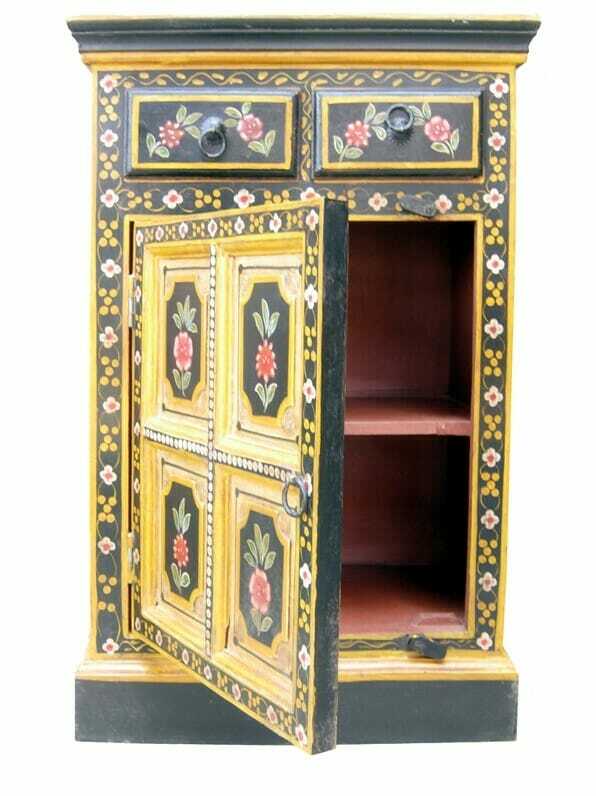 Each floral cupboard is then hand painted, this ensures each piece is unique, and affords our customers a little piece of Rajasthan in their own home. 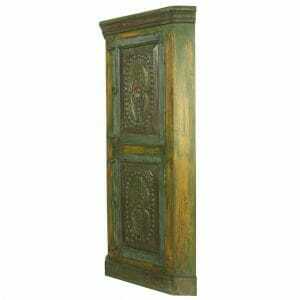 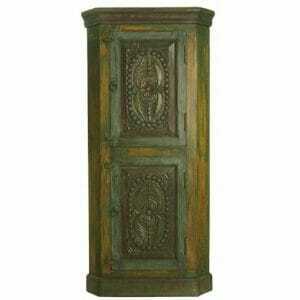 The black flower cupboard is then finished with distressed detailing, to provide a timeless antique feeling. 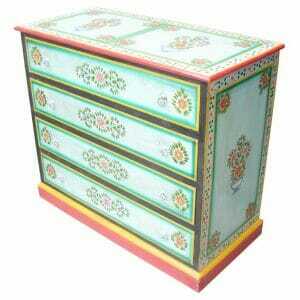 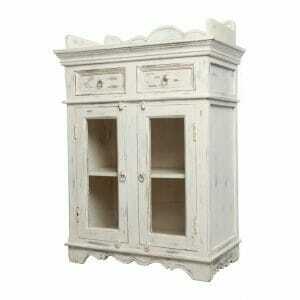 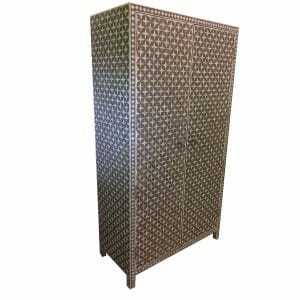 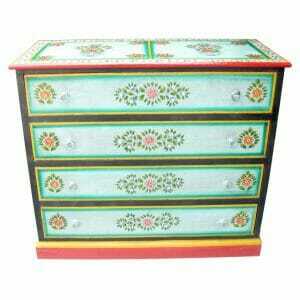 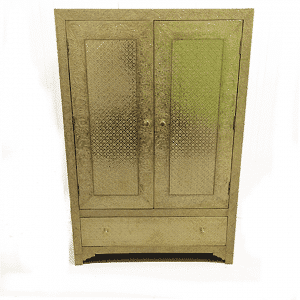 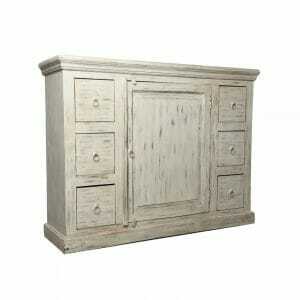 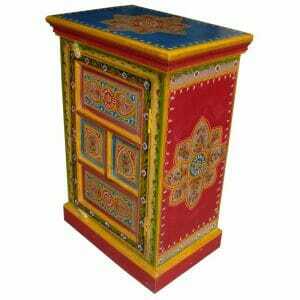 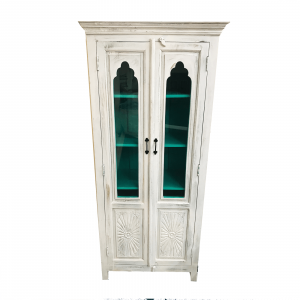 The distressed Indian cupboard features a main door and also two small drawers, perfect for bedside storage. 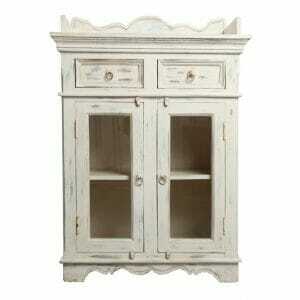 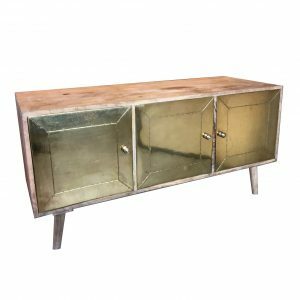 The cupboard also features shabby effect Indian metal loop handles to the drawers. 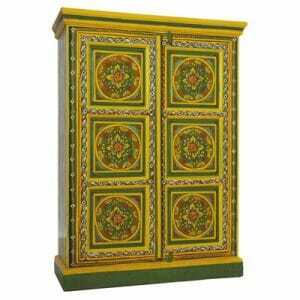 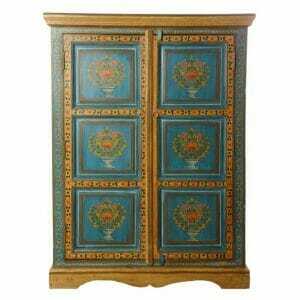 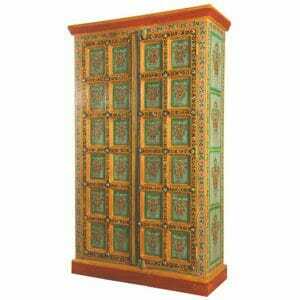 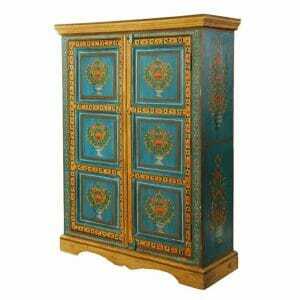 If you have you own bespoke Indian painted cupboard in mind, please send us an email with dimensions and the painted themes and colours you would like. 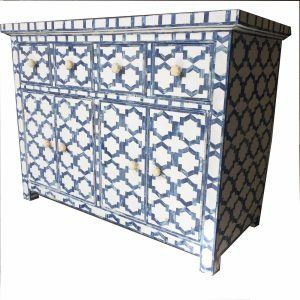 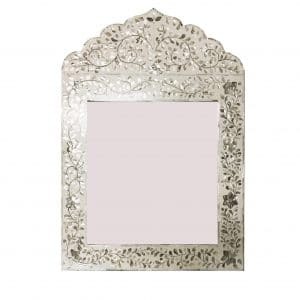 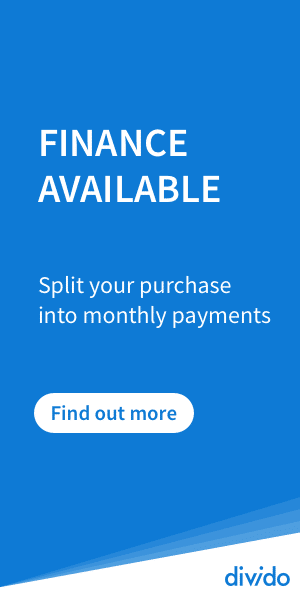 We are able to offer a bespoke design service, due to the close relationship we have with our Indian cupboard suppliers. 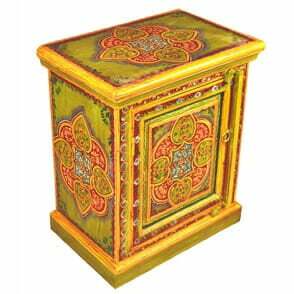 We visit several times a year to Rajasthan, by cutting out the middle man we ensure a fair trade deal for our Indian furniture suppliers, and the best deal for our customers. 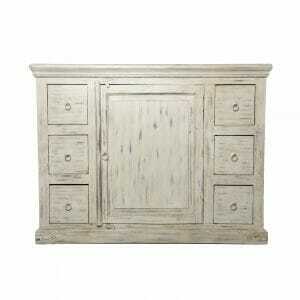 If you don’t see your dream painted Indian cupboard in our range get in touch.